The first tenants have been welcomed to Hafan Cefni, the new £10 million extra care housing scheme for older people in Llangefni. Mr Gordon Barlow, aged 91, from Menai Bridge, Mr Michael Allmond from Dwyran, aged 85, and Mr Brian Burt, aged 76 from Llanfaelog, were the first to move to the scheme when it opened this week. A phased move-in period has been arranged to minimize disruption for new tenants, who each have their own self-contained apartment as well as access to a wide range of communal facilities and access to 24-hour support. 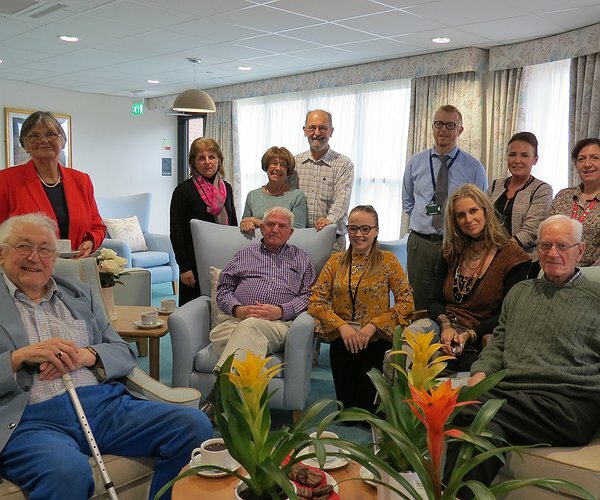 The first tenants were welcomed by Dr Sarah Horrocks, Chair of Clwyd Alyn Housing Association, Alwyn Jones, Head of Adult Services and Iola Richards, Service Manager for Older Adults for the Isle of Anglesey County Council. “It is clear that Hafan Cefni will provide high quality accommodation for residents, allowing them to keep their independence, whilst also offering peace of mind that dedicated care and support is on hand when needed." “It is very much my own choice to move here, and I know it is the right decision. It feels like home already,” said Mr Barlow. Mr Allmond said that he was very happy with his move to Hafan Cefni where he is to live independently with care and support available as and when needed. Hafan Cefni has 63 one and two-bedroom self-contained apartments for people aged 60 or over, subject to eligibility criterial. It is a partnership development between the Isle of Anglesey County Council, the Welsh Government and Tŷ Glas Housing Society, part of the Pennaf Housing Group and is manage by Clwyd Alyn Housing Association, also part of the Pennaf Group, with individual domiciliary care provided by the Local Authority. "First tenants welcomed to Llys Raddington extra care housing scheme"
"Sponsored sleep-out raises funds for charities"